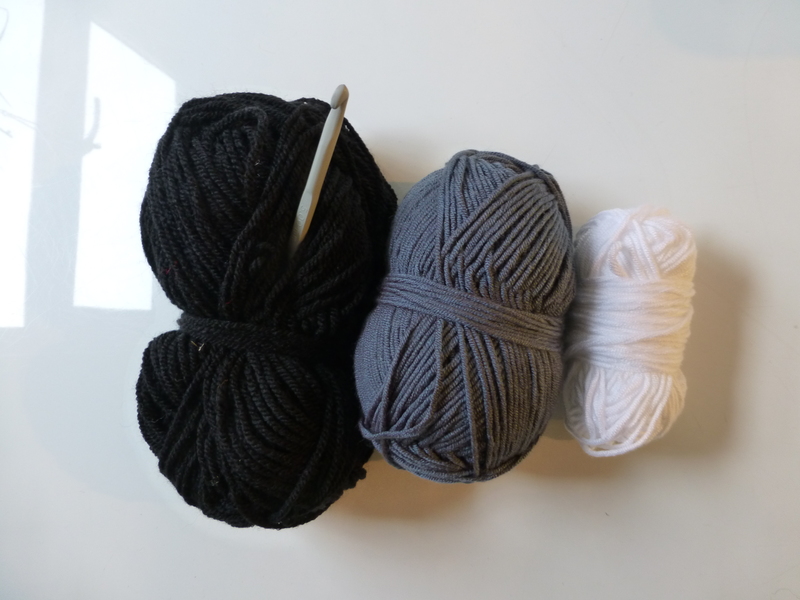 I’m no slouch when it comes to making hats! I’ve been making hats for quite a while now. I make quite a lot of beanies and use the technique where you make magic ring and increase until you get the right number of stitches and then continue building the rows until the hat fits the head. It’s quite therapeutic doing all those rows and there’s no making up involved either – unless you’re adding pom-pom or eyeballs or skulls, or a tiara. 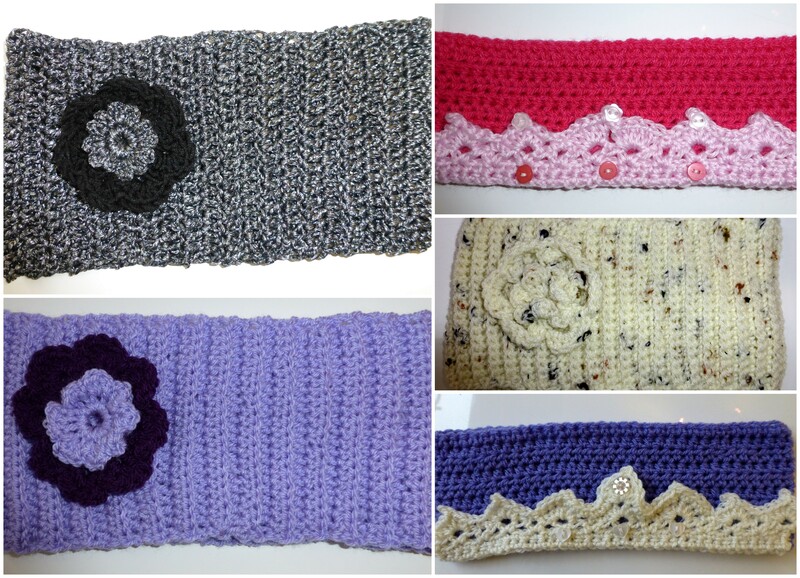 For the ear-warmers (or head-warmers, whichever you prefer), I use a number of techniques. 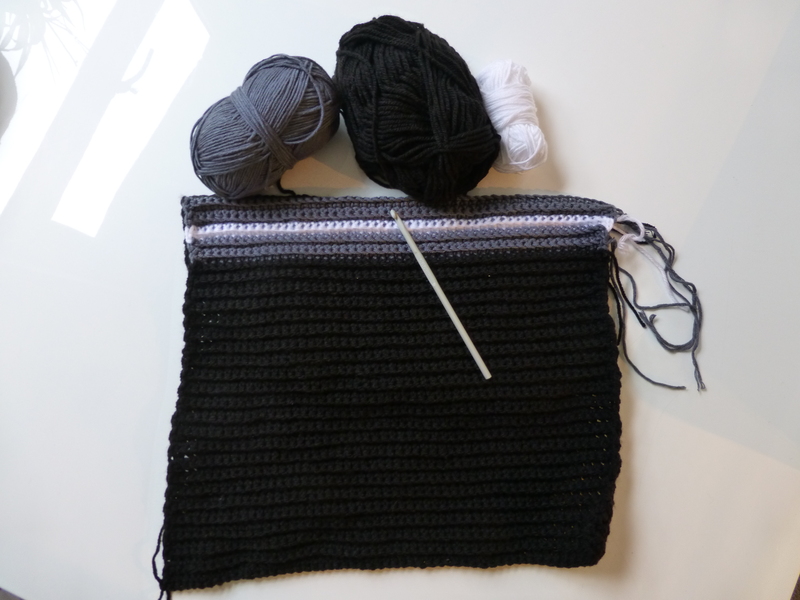 Sometimes a straight forward double-crochet and then join/stitch at the back. 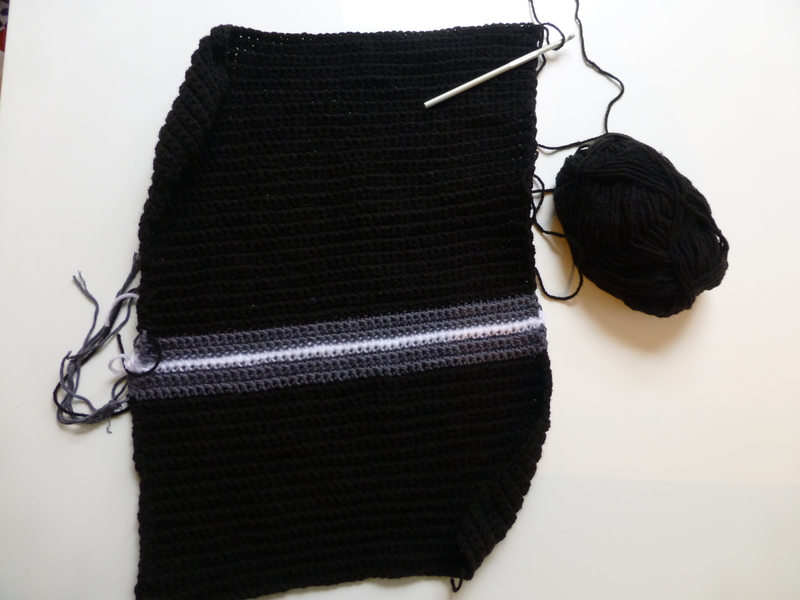 I also quite like doing a rib with a back-stitch crochet. This works really well and gives some good stretch to the finished ear-wamer. Of course there’s also the way of creating a chain, joining it and building up rounds, a little like the beanie hats. Well, I decided to try something a bit different. My other half wears a lot of those big slouchy beanie hats which are machine knitted and many also look fully fashioned. So, I thought I’d give it a go. Well first things first, I needed to choose the colours. I did a black, grey and white union jack beanie as a commission for a Christmas pressie and quite liked the combo once I’d finished. I’d already decided to do a stripe that went from the front to back, rather than the usual horizontal stripes so thought this colour combi would work. That’s a 5mm hook there in the picture. So I started with 50 chain and started to work the back loops but after a few rows I wasn’t too keen so I unravelled it (don’t most crochet project start like this?) and started again with a back loop row followed by a standard double crochet. This gave it a more spaced rib design. Then I added in a grey 4 row, a white 2 row and a grey 4 row. This was so all casting on and off was at the same end. So, then it was back onto the black and just alternating rows until it was big enough to fit around an adult head. It then needs tying off with quite a tail so that you can use that to stitch the edges. All the casting on and off tails also need tying off. Once that’s done then it’s a case of stitching and gathering the top and finishing off. For a first attempt it’s not turned out too badly. As usual I ‘designed’ it myself, as in didn’t use a pattern and made it up as I went along. Here it is on my male head. I thing I might make the next one in red, white and blue. I think it would nicely suit the mod/scooter look. I might also make less of a slouch. 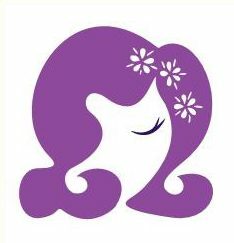 Anyway, I guess it’s like most of my ‘designs’… they sort of evolve! 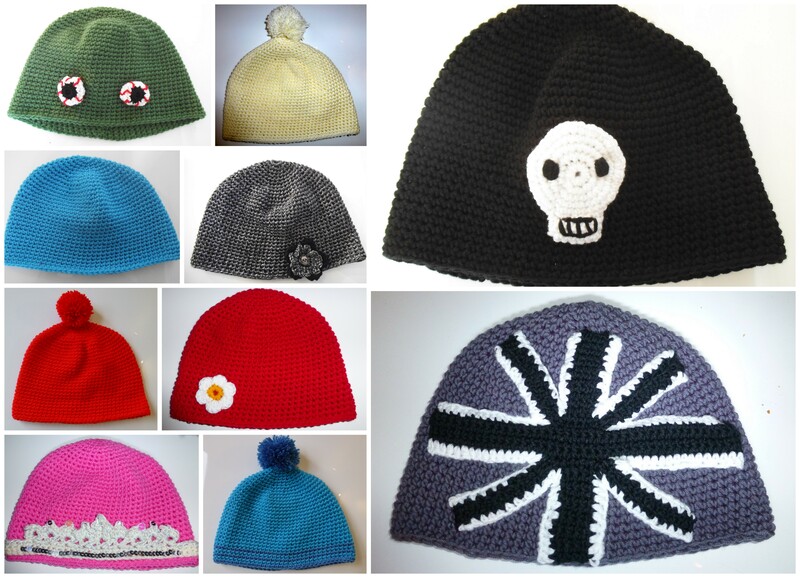 You can check out my hats at Quirky Purple Hats or you can see some of the other handmade commisions that I’ve completed. Anyway, the hat was a sort of diversion from starting the crochet doll toilet roll holders. The dolls I ordered arrived on Friday so there’s no excuse now to get cracking on them! 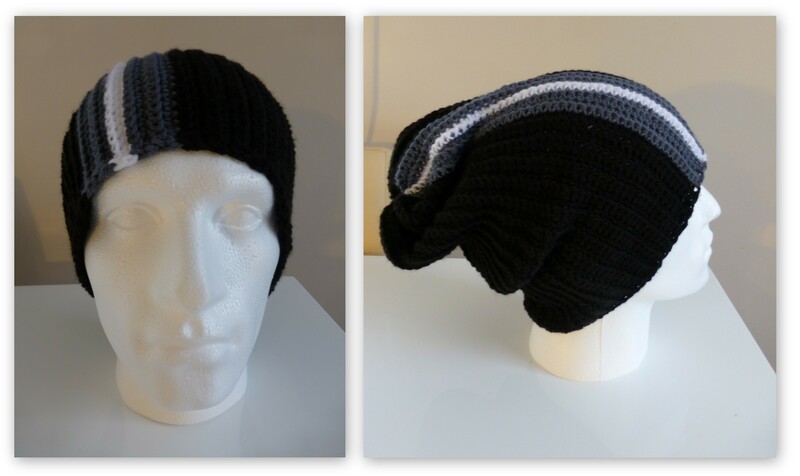 This entry was posted in Crochet, Handmade and tagged beanie hats, black, crochet, crochet tutorial, ear-warmers, grey and white, handmade, mod, not on the high street, quirky, retro, slouchy hats. Bookmark the permalink.